Those fighting for the autocephalous Church in Ukraine are ready to use violence in order to achieve their goals, the Primate of the Russian Orthodox Church said. Proponents of the creation of an “independent church” in Ukraine are filled with anger and use the language of force, unlike His Beatitude Onufry. This was declared on December 9 by Patriarch Kirill of Moscow and All Rus in his sermon after the Liturgy in the church of St. Tatiana, reports the Telegram channel of the press service of Patriarch Kirill. Patriarch Kirill stressed that the leaders of the split are filled with hatred, and only talk about light, in fact being in darkness. 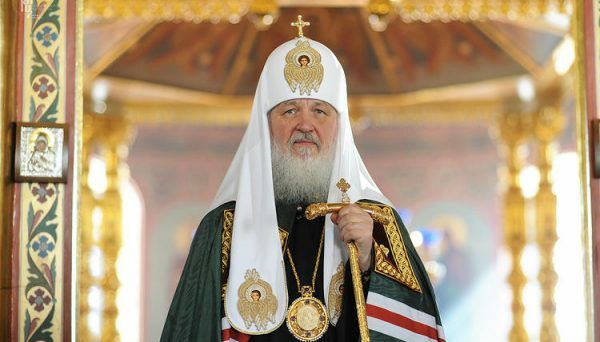 Earlier, Patriarch Kirill said that President of Ukraine Petro Poroshenko violates the Constitution of his own state when he intervenes in religious issues and tries to manage Churches and the religious process.